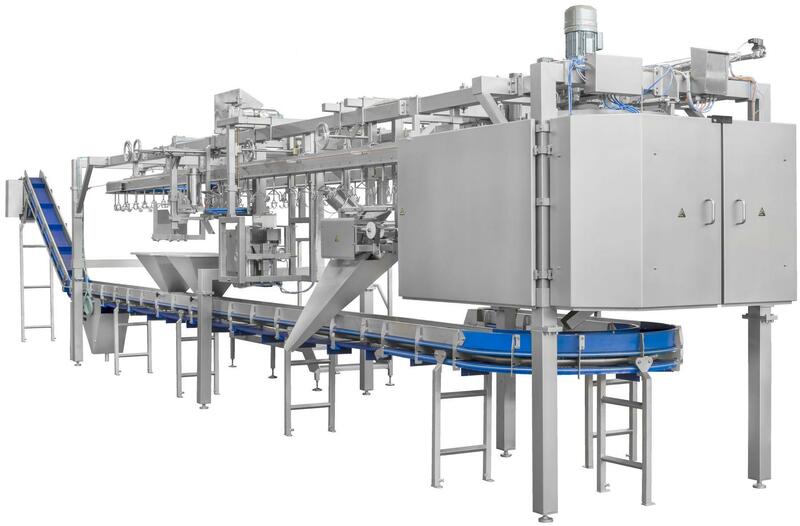 Frame Cut-up Systems are characterized by its self-contained structure with cutting modules and is delivered pre-wired with a control panel that is already mounted to the machine. Frame cut-up systems are easy to install and only requires one power connection. 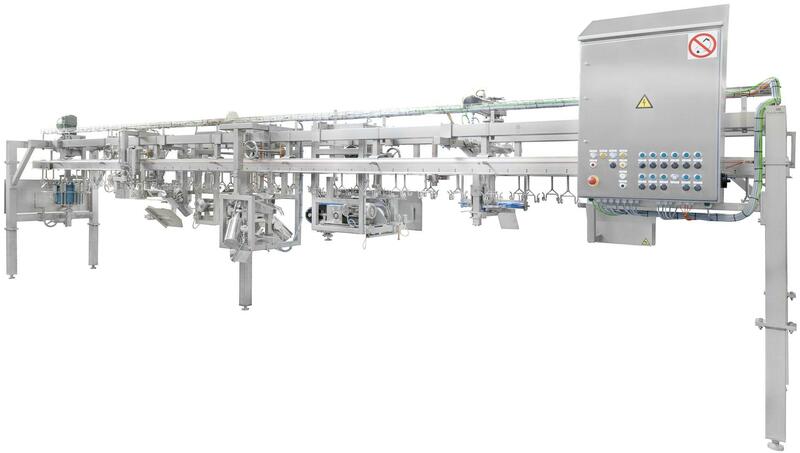 The inline design easily lends itself to connect automatic transfer machines, which are often supplied by distribution lines for optimal cutting results and eliminates the manual hanging process. All Frame Cut-up Systems are supplied with self-correcting magnetic cut-up shackles to help prevent the shackles from miss-feeding when entering the cut-up modules. The unique turning point and side plate configuration makes the machine easy to clean and flexible for future line modifications. The stand-alone system requires minimal installation time because all the single point connections are integrated into the modules/machines. Frame Cut-up Systems can be used for Food Service applications and for Traditional Cut-up applications. Food Service Cut-up Systems are designed to meet all 8 and 9-piece cutting requirements set by various fast food chains such as KFC, Popeyes, Church’s Chicken and Bojangles’. This system can also be designed and customized to meet other food service cut-up requirements from different countries around the world, such as Korea (25-pieces) and Thailand. 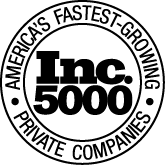 Foodmate has also supplied lines to make 4 and 6- piece bone-in breast cuts as well as 3 piece thigh cuts for school lunch programs in the U.S. Click on the button below to see a 9 piece Fast Food Cut-up System in action. Foodmate Compact Cut-up Systems are available in different configurations, de- signed to meet mainly traditional product mixes. 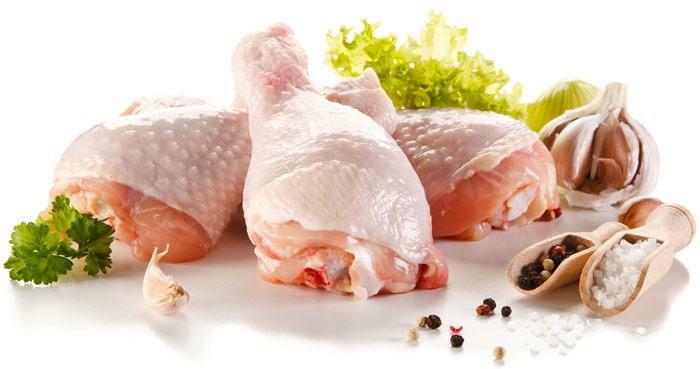 Some systems are as simple as just cutting front halves and cutting leg quarters, while others may include wing segmenting, options such as weighing and whole bird distribution. 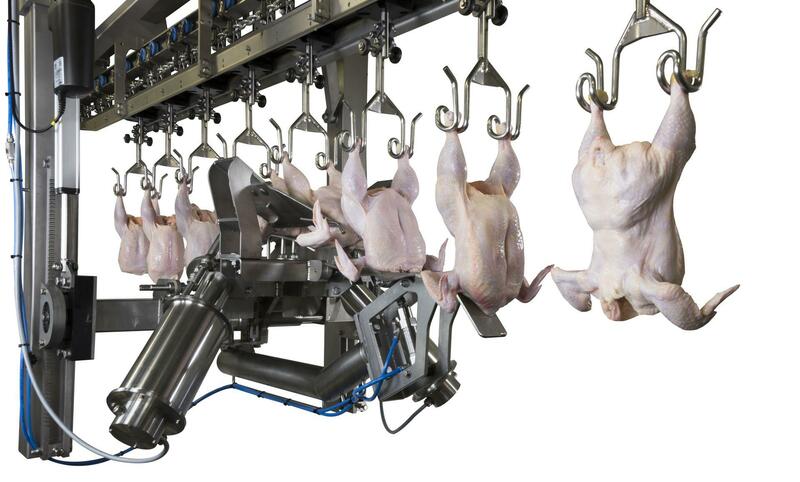 Line speeds can vary from 100 birds per minute on 12” centers to 140 birds per minute on 8” centers depending on the type of cuts. This system allows for a maximum of 100 birds per minute.